Irkut Corporation is presenting the Sukhoi Su-30SM superagile multirole fighter at MAKS 2013. The aircraft on display flew to Zhukovsky from the Irkutsk-based ­IAPO factory, a subsidiary of Irkut. The Su-30SM is based on the corporation’s best-selling Su-30MKI fighter jet, whose various modifications are exported to India, Algeria, and Malaysia. Irkut’s total backlog of Su-30MKI orders, both assembled airframes and assembly kits, is approaching 300 units. The Russian Air Force has also taken an interest: in March and November 2012, the Defense Ministry placed two 30-unit orders with the corporation, with deliveries to run in 2012-14 and 2014-15, respectively. The first two aircraft were delivered last November. The Su-30SM superagile twin-seater is fitted with the N011 Bars AESA radar and powered by two thrust-vectoring AL-31FP turbofans. 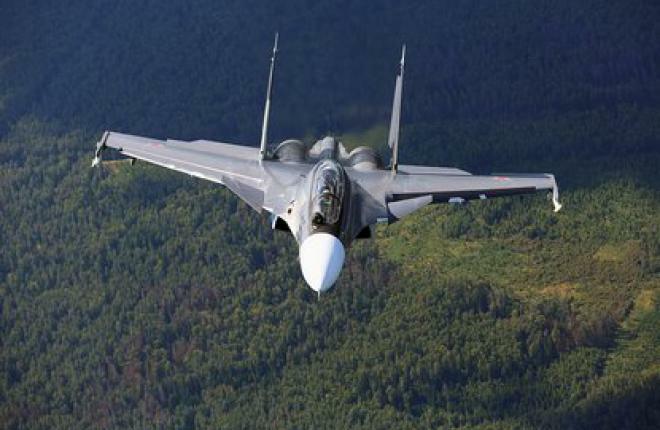 To meet the Russian Air Force specifications Sukhoi designers have modified the aircraft’s original radar, communications, and IFF equipment, ejection seats and a number of auxiliary systems. Changes were also made to the possible weapons options for this platform.